The human rights bodies of the United Nations (UN) and the Organization of American States (OAS) urged the government of President Ivan Duque and native Colombians to avoid violence on Thursday. Tensions that have been building in southwest Colombia for almost a month escalated on Wednesday when armed civilians, accompanied by police, attacked the office of indigenous organization CRIC with bricks and allegedly stabbed indigenous representatives in Popayan, the capital of the Cauca province. Since the protests began, 10 native Colombians, two students and one police officer died in incidents related to the protests. 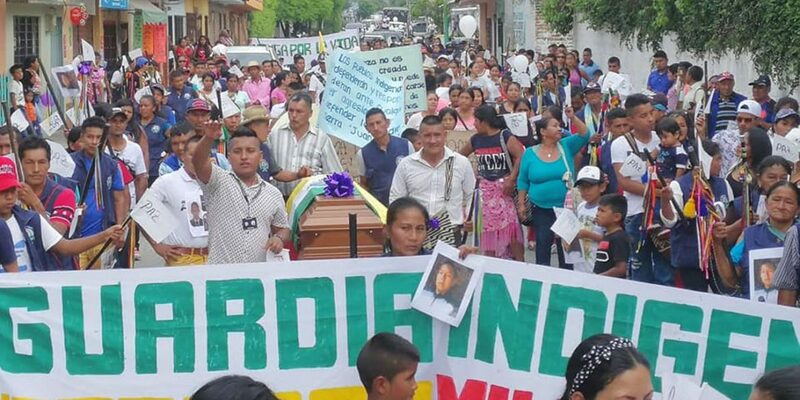 Following the latest attacks, the indigenous organization urged international oversight, threatened to abandon talks with the government and take Popayan. The office of the UN’s High Commissioner for Human Rights( OHCHR) and the Inter-American Commission for Human Rights (IACHR) urged both parties to continue negotiations while avoiding further escalation. Dialogue is fundamental to attend to social demands and is the only solution that contains violence, alongside a focus on human rights, the strengthening of democracies and the rule of law. National indigenous organization ONIC on Thursday reiterated concerns about pending violence against indigenous communities throughout Colombia that have increasingly been joining the national “minga,” or mobilization, that began in Cauca. According to ONIC, which is also negotiating with the government, its call for action has received the support of more than 326 social organizations and 30 congressmen. Tens of thousands of members of indigenous communities from across Colombia have joined the protests. Particularly in Meta and Norte de Santander, where native Colombian peoples have blocked access to oil fields, fears of violent repression by the country’s controversial ESMAD riot police unit are feared. The CRIC began protesting on March 10 after finding out the government of President Ivan Duque, who is a member of the far-right Democratic Center party that allegedly has been inciting the violence, had excluded ethnic minorities in his national development plan. This added to grievances about chronic state neglect in indigenous areas and the assassinations of leaders of Native Colombian peoples. The protesters want the president travel to Cauca and negotiate with the indigenous community, but this has categorically been rejected by the president as long as protests are ongoing.